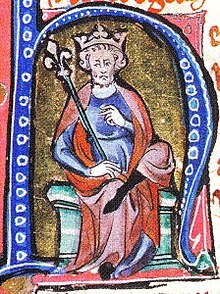 Cnut the Great (Auld Norse: Knútr inn ríki; c. 985 or 995 – 12 November 1035), mair commonly kent as Canute, wis a keeng o Denmark, Ingland, Norawa an pairts o Swaden, thegither iften referred tae as the Anglo-Scandinavian or North Sea Empire. ↑ Modern languages: Dens: Knud den Store or Knud II, Norse: Knut den mektige, Swadish: Knut den Store. This page wis last eeditit on 25 Mairch 2017, at 17:01.